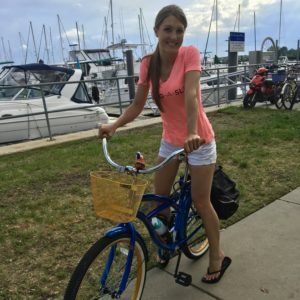 I couldn’t pass up a ride on a Margaritaville bike! Back in March, the Snag-A-Slip team went on an adventure to New Bern, North Carolina to support the America’s Great Loop Cruiser’s Association spring rendezvous (thank you for having us). 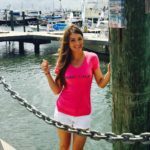 What we found while visiting is that this beautiful waterfront town is not only filled with fascinating history and charm, but also that it has no shortage of fun things to do. Did you know that New Bern is the birthplace of Pepsi? After spending time with the AGLCA and their awesome loopers, we got out and explored downtown New Bern for ourselves. We successfully found a little bit of everything! From great dining and amazing local craft beer, to exciting activities and historic sites, this town knows how to have fun in style! 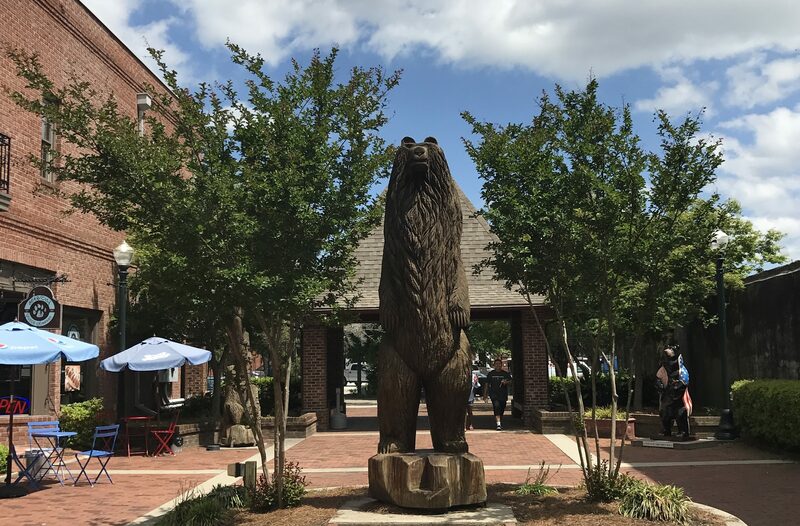 Check out our list below of our New Bern favorites. Give them a try when you’re in town – we promise they’re all worth it. On our way to the rendezvous every morning, we passed this neat little coffee shop and just had to try it. The shop owner opened a few minutes early for us, showing us true hospitality from the moment he greeted us at the door. Walking inside, you’ll be pleasantly surprised with funky original paintings covering the walls and a warm southern vibe. Be advised – this is not just your ordinary coffee shop! TRCC also hosts music concerts and book signings throughout the year. A must try! The enticing aromas of sweet pastries lured us to Baker’s Kitchen from all the way across the street. The taste lived up to our expectations, and this was the hearty breakfast that we were hoping it would be. From delicious, fresh baked goods to the basic breakfast must-haves, this is your go-to breakfast spot at least one day while you’re in town. 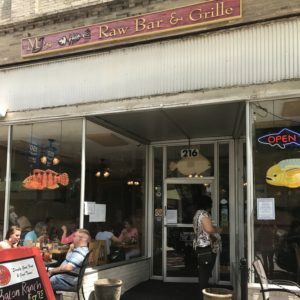 Everyone in town recommended that we stop at MJ’s Raw Bar and Grille. The menu is all about the seafood, which is freshly prepared and well-plated. The service was quick and friendly, and the food was out of this world. We went for lunch, but we’re sure that dinner is just as good. We highly suggest you try the Asian Tuna Salad! This awesome bar and restaurant has a fantastic outdoor patio area that overlooks busy Craven Street. Enjoy watching the town’s activity while sipping on a cold drink, and munching on a pizza. We sat here for a while, met a lot of adorable dogs, as well as some pretty awesome people. This was the first place we stopped for a bite and it won’t be our last. Morgan’s Tavern has both indoor and covered outdoor seating, perfect for enjoying the beautiful North Carolina weather. Our pleasant waitress brought honey smothered, freshly baked croissants and boy, oh, boy – these were heavenly! It took all our will power and then some to resist eating the whole plate. We had to save room for dinner and we’re glad we did. The food here hit the spot. After indulging in Fresh Crab Dip and Cajun Mahi Tacos, we left stuffed and happy. It is no secret, we love ourselves a great cocktail. With 7 hours of driving, and a full day of chatting, we were ready to kick up our feet. After discovering this place on the first day, it quickly became our favorite wind-down spot. Circa 1810 is in the basement of the Harvey Mansion, providing guests with a neat historic ambiance to enjoy a cold one or two. They too have both indoor and outdoor seating, so if it’s a nice day, be sure to bring those drinks outside to the comfortable patio furniture. Tradition brings a fun twist to this bar. 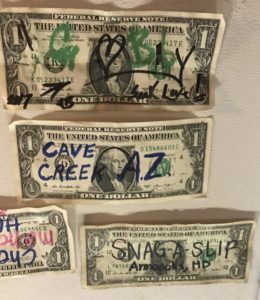 The ceiling and walls are full of signed dollar bills from guests. Naturally, we had to throw a Snag-A-Slip dollar up! Can you spot it? 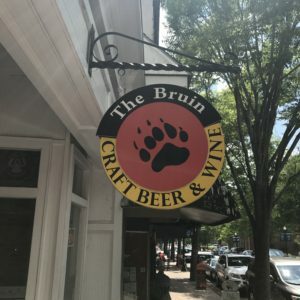 The craft beers are amazing at The Bruin! This neat shop is right up our alley. The modern decor is warm and welcoming and the friendly staff make it a great spot to relax for a drink or two after a long day on your feet. The folks will share everything you need to know about locally crafted beers and wines, so that you can find which selection best suites your tastes. You can even mix and match beers to go so that you can leave with all of your new-found favorites! We stumbled upon this shop as we were strolling through town, and we are happy we did. The shops official greeter, Toby, pulled us in (we can’t resist a dog!) as he was hanging out right under the checkout counter. The owner Kim was friendly and helpful. As we wandered around her shop, she gave us some great insight on the town and its awesome history. This shop is full of great knick-knacks and original items – we did not leave empty handed! 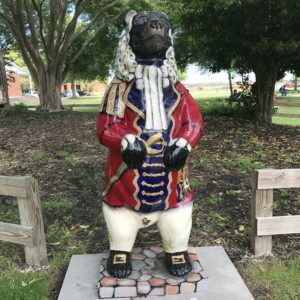 ALSO – Don’t forget to keep an eye open and see if you can spot all 22 of the downtown ‘Bear Town Bears.’ These original hand painted fiberglass, ceramic bears were designed and placed all over town in celebration of New Bern’s 300th anniversary. Snag your slip at either of our awesome partner marinas, New Bern Grand Marina & Yacht Club and Bridge Pointe Hotel and Marina.